One of the School of Babywearing trainee consultants is organising a backcarrying workshop in Derby. Derby Sling Library and APUK Derby will organise a workshop for beginners who would like to learn back carrying and try several slings. Bookings and payment will be through the link below (eventbrite). – training materials and so much more!!! You do not have to be experienced babywearer to attend the workshop. We are having a bit of a party to celebrate our launch and raise funds to help grow the library. We’ll have stalls from sling, nappy, eco and baby retailers. A chance to join in some taster sessions including the new NCT relax and stretch with baby. A raffle with some great prizes including an Oscha Starry Night Connecta Baby Carrier. A play area for babies and toddlers and of course tea, coffee and cake. This Saturday could see babywearing on prime time television as Carly Burchall and Sling Swing mums take to the stage to audition in front of soon to be a dad Simon Cowell on Britain’s Got Talent. A group of 17 mums and babies will be auditioning on Saturday, we wish them well. It’s still cold and wet round here so I was really pleased to see this new UK designed product pop up on our Twitter feed. The ZipUsIn Jacket Expander Panel is an easy to use, wind proof and water resistant ​soft-shell panel that can be zipped into the front of your own jacket to allowed continued wear throughout pregnancy and for front carries when babywearing. Retailing at under £30 this is certainly much cheaper than buying a new coat. The babywearing world is fuelled by hundreds of parents kindly giving their time and knowledge, passing skills from one person to the next. So it’s no surprise that when one mama posted on a Facebook Group to say she had ripped her brand new sling, another stepped forward to help her out. 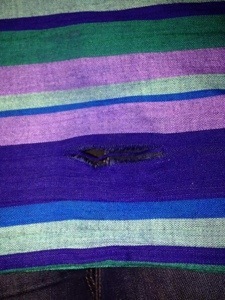 Jennie had only had her first woven wrap for 4 days when she caught it on the carseat and ripped a hole in it. 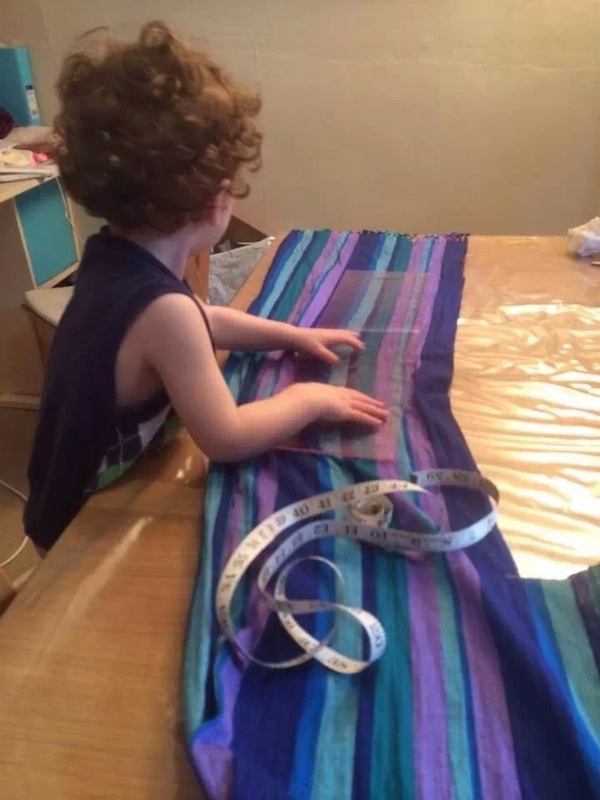 After this photo was posted on the Slings and Things Off Topic Facebook page, Sew Domesticated’s Victoria Lumb offered to meet Jennie and help her turn the ruined wrap into a Mei Tai. 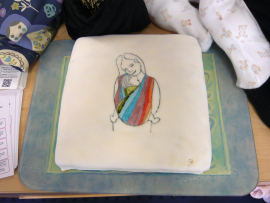 Four hours sewing while the children played and Jennie had a brand new wrap conversion complete with embroidery. They even had a little helper too. There is lots going on at West Pennine Slings. Katrina and Iain are hoping the library will become a community interest company in the next few months. This won’t affect the day to day running of the library and the activities already provided but it will make the library an official non-profit community project and hopefully open up funding opportunities to expand the library faster. They are looking for another director of the company – could you be this person? Ideally they are looking for someone with a background in accounting or marketing as these are two areas that are needed most. The role would be essentially voluntary but there may be opportunities to be paid for any professional work undertaken (e.g. for completing the yearly tax return if you are an accountant) in the future depending on the financial situation of the company. 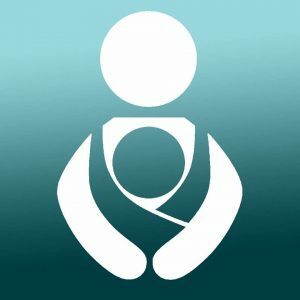 Kangaroo care, with or without a sling, is a wonderful way for parents to care for and connect with their premature baby and a new study reports benefits extending to a decade or more. Here is a list (updated frequently) of the slings and carriers that have been safety tested to the British Standard for soft carriers BSEN 13209-2: 2005 and the US ASTM F2236 & F2907 standards. Please note that safety testing is not mandatory or any sling or carrier sold in the UK, nor does safety testing necessarily indicate that the product is better than one that hasn’t been tested. Please note that you need to check the label of any product to ensure that it is marked with the relevant EN13209:2005 standard. If it does not carry this marking, even if it appears in the list below, it may have been made before the testing was carried out. Please note that ASTM testing does not require the standard number to be marked on the sling/carrier. I’m a freelance copywriter and work-at-home mum to Lucas, 13 months. My husband Guy and I started carrying Lucas in a sling when he was just a few days old, and we’ve tried many different slings and carriers over the last 13 months! We have two cats – Freddie and Pancakes – who unfortunately do not like babies or children. My hobbies are reading, knitting, sewing and eating (I love food)! I am one of the librarians of Stockport Sling Library and Slingmeet .There are now five volunteers running the library and our meets get busier each month! We meet on the first Monday of every month in a church in Stockport. Please check out our Facebook Page for more information or email stockport.sling.library@gmail.com. Why do you love babywearing? I love the physical closeness of carrying my son, especially as he grows up and wants to be more independent! I have tattoos on the back of my neck and Lucas loves to stroke them as I carry him on my back. I also love the convenience – when Lucas is fussing, I can quickly pop him in a wrap or carrier and head out for a walk, and he usually calms right down. Tell us about your babywearing journey. I didn’t know anything about babywearing when I was pregnant. Someone had given us a Baby Bjorn carrier, which Guy and I both found uncomfortable. We were lent a Moby Wrap, then I borrowed a gauze woven wrap during a heatwave and bought one of my very own! It has all gone downhill from there really and I now own quite a few slings! I love taking the opportunity to try different carriers and there are so many of them. What was the first sling/carrier you used? When I had Lucas, my cousin-in-law lent us a Moby Wrap, which had already been used with our two nephews. I was confounded at first but after a few practice tries, I was convinced and loved the hands-free snuggles – finally, I could make a cup of tea! Which is your most used carrier/sling? That is a difficult question; may I choose one in each category?! My husband loves our Monkey Mei Tai wraptai, made from a Girasol Northern Lights wrap. I love our Wompat buckled carrier and my new favourite is our Girasol Amitola diamond weave size 4 wrap. What is your dream carrier/sling? I’m hearing excellent things about new British company Firespiral Slings! I’d love to own one of their wraps before my babywearing journey is over. What is the best comment you have received when carrying? A lady in our local Co-op told me that I’d inspired her to try back-carrying her toddler after she saw me with Lucas on my back. I loved that, because I hope to show people that it’s not hard to babywear! 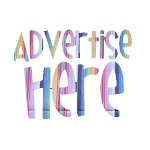 Tell a bit about how you help others to babywear. In late 2012, I posted on a local Facebook group asking if there were any slingmeets in Stockport. As there was not one in central Stockport, Lou Baxter, Sarah Turner-Bagot and I decided to start one, and Stockport Slingmeet was born! We started loaning out carriers in March 2013 and we are really enjoying expanding both the meet and library to meet the overwhelming demand. 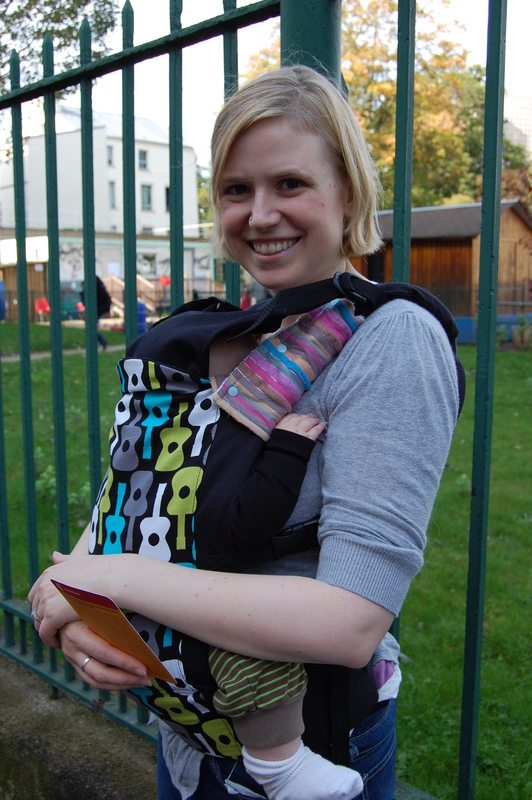 So far we’ve helped people find slings for newborns, taking on holiday and hauling heavy toddlers around! We want to encourage peer support in the local babywearing community, and welcome all to our slingmeets – whether you’re newbie or an experienced babywearer! Everyone helps each other at meets, and in between we have a very active and helpful Facebook group, Stockport Slingchat. I encourage all parents to try babywearing – it doesn’t have to be expensive, and the benefits to the parents and child are wonderful. 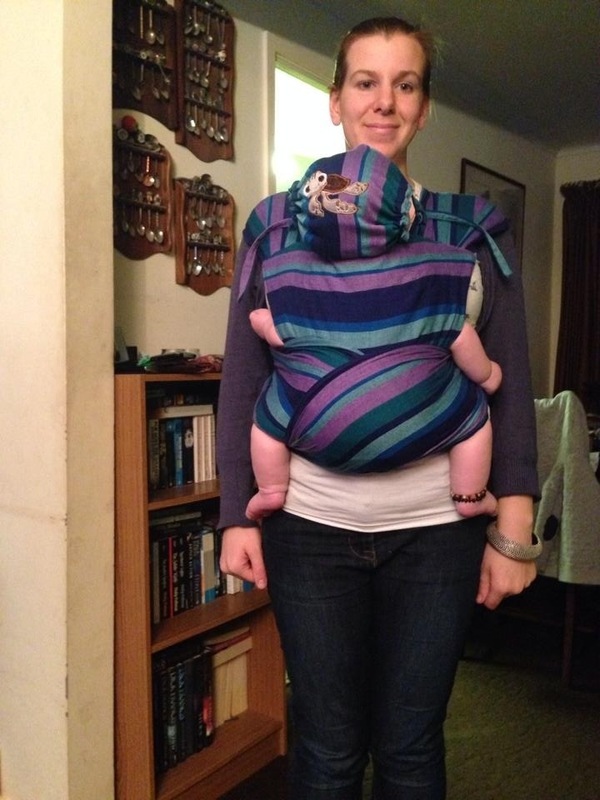 You can find a local slingmeet or library and try a few different slings before you buy, as well as getting advice from seasoned babywearers.